Take a break from plain old protein smoothies and enjoy a delicious – and healthy – Strawberries and Cream Protein Smoothie! I love protein smoothies. I love to add frozen fruits and almond milk to make a delicious and nutritional meal. 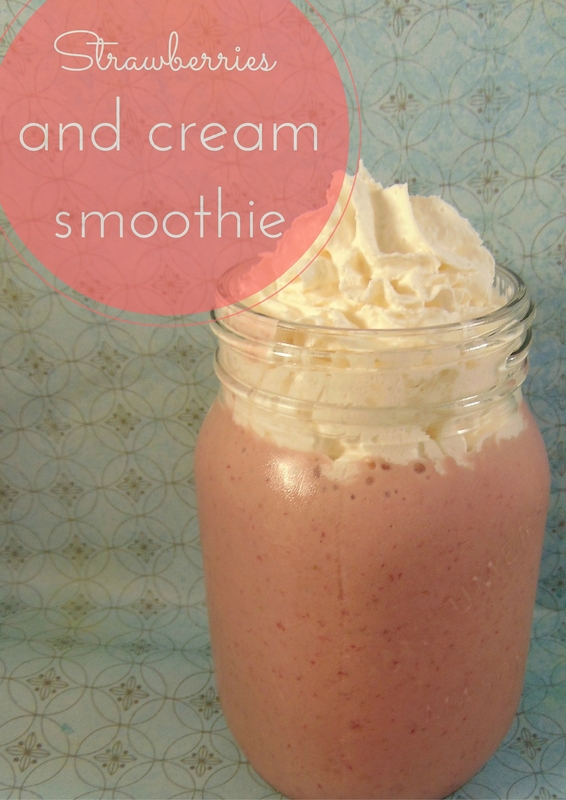 I often switch things up and create new ‘recipes’ with my smoothies, this is one of my favorites! 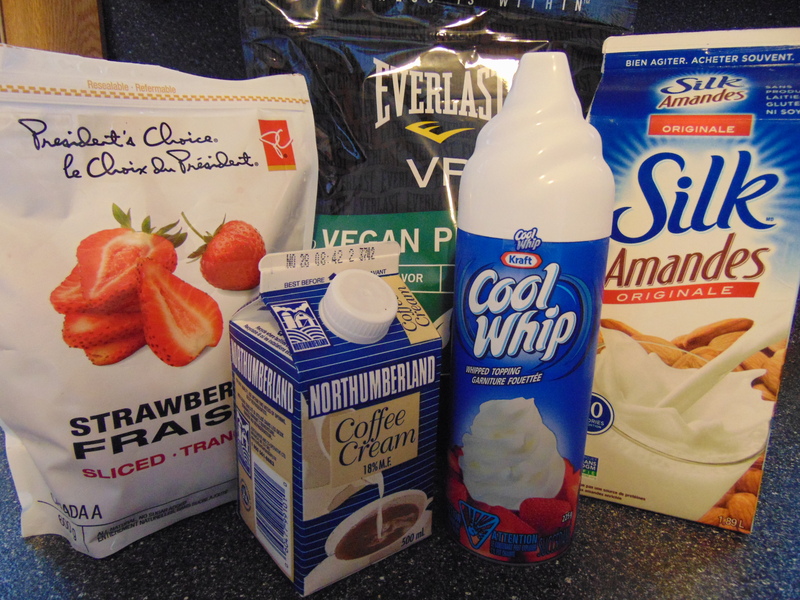 Blend all ingredients together and pour it into your favorite cup! Top with whipped cream if you like! If you are looking for a vegan protein powder I highly suggest you check out Everlast VP! There is no dairy, no sugar, and it’s gluten free! It has 22grams of protein and only 110 calories. If you are interested in purchasing you can click here and use the code YOURHEALTHYYEAR to get 5% off! PLUS: buy 1 bag of Everlast VP and Get a FREE Box of FUEL plus FREE shipping! Check out another smoothie recipe with Everlast VP here!